In case you missed it: A fantastic new episode of the ’77 Music Club podcast is now live. It’s a special one — we interviewed iconic punk baddie Viv Albertine about an album that’s influenced her (Dionne Warwick’s Golden Hits Pt 1) and learned so, so much in the process. It’s a great one. Tune in here. Hi! 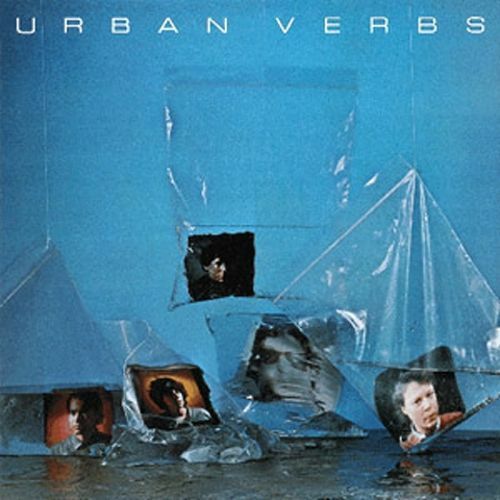 I edited this dope oral history of the late-70s/early-80s Washington D.C. new wave band Urban Verbs and co-produced it with Carly for our podcast, ’77 Music Club. Over the past few months, we interviewed founding members Rod Frantz and Robin Rose, as well as early promoter and later bassist Bill Harvey, and producer Mike Thorne. The resulting podcast episode is an hour long edit of nearly six hours of fascinating conversations, and I’m extremely proud of it. There are so many holes or shallow, glossy footnotes in history; right now feels like such an exciting time for journalists, historians, and storytellers. We can go back and tell these untold stories or fill out these sketches and recognize people who might have been overlooked the first time. We hope we were able to do that with this episode. Give it a listen. Oh, and we have an exclusive, never-before-seen, lengthy letter that Brian Eno wrote the band in 1978 offering to produce them, if that’s any additional incentive to click on through.